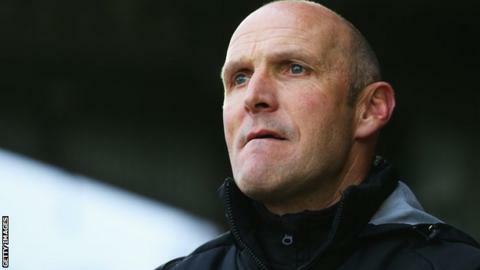 Manager Steve Burr is confident Chester can beat League One side Barnsley in a replay to reach the FA Cup third round. The Conference club impressed in their 0-0 draw at Oakwell, hitting the crossbar and having two efforts cleared off the line, and will now replay their second-round tie. "They've shown that type of commitment you need to cause an upset," Burr said. "Unfortunately we didn't quite cause the upset, but we've got another chance at Chester." Winger Craig Mahon's deflected first-half effort hit the woodwork, while Barnsley full-back Joe Dudgeon made two clearances off his own line to keep out headers from team-mate Conor Hourihane and Chester defender Kieran Charnock. Goalkeeper Jon Worsnop played almost the entire match with a cracked cheekbone, having also lost a tooth following an early first-half collision. "It would be very unfair to single anybody out," Burr, 54, told BBC Radio Merseyside. "The lads have worked very hard and put in a great shift. "This was a fantastic performance from the players and, along with the fantastic support, it's been a memorable day. "It would be great to pull a big one out [in Monday's third-round draw] but I'm sure that Barnsley will be looking for the same as well. That said, there's a lot of football left in this tie."